Home / Freebies / Free Stuff Online / Free Samples / Free Sample of Fekkai Hair Care for Costco Members! Calling all Costco Members! Hurry and sign up for a Free Sample of Fekkai Hair Care on the Costco website. This sample is only available for members and you will need your Member Id to Register. 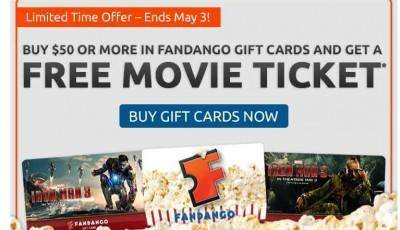 FREE Fandango Movie Ticket with $50 Gift Card Purchase!